The Brownie pack from Southlands planted peas and beans in pots at a session before Easter, and then brought the resulting seedlings to plant up at the Nose, at a second session. 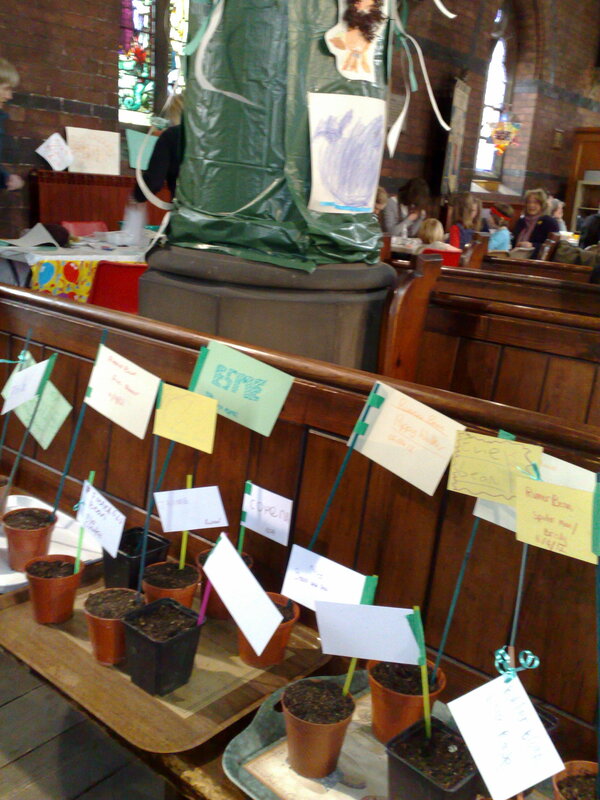 At the St Clement’s Church’s Good Friday workshops, Planet South Bank ran another seed-sowing workshop, with about 40 children leaving their decorated plant pots in the pews, as they continued to enjoy the other activities on offer. The seedlings that result from this activity can be planted up outside, once the weather cheers up, and Planet South Bank will also be helping the Sunday school sow some salad crops.